Earlier this year I came across my original Friends of Laphroaig certificate. 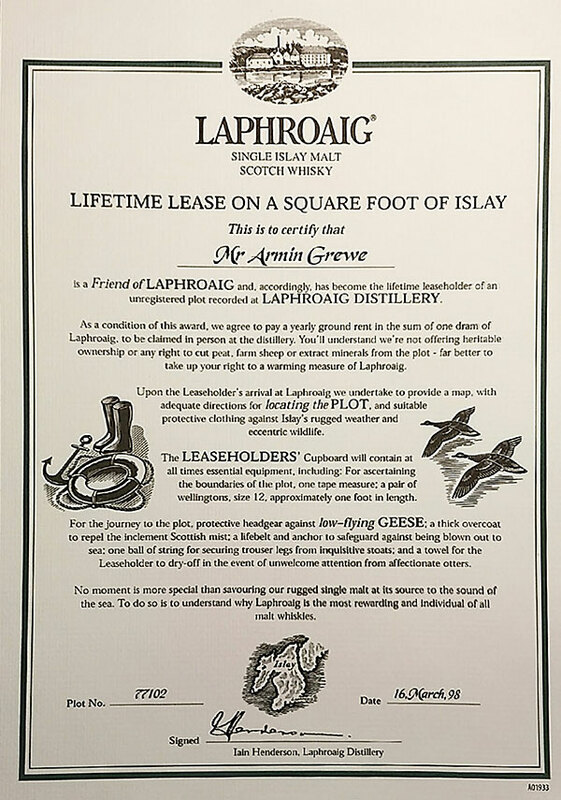 I bought my first bottle of Laphroaig whisky (the standard 10yo, an expression I still enjoy regularly) in early 1998 and duly sent in my claim for my square foot of Islay. A few weeks later my certificate arrived. Iain Henderson was the distillery manager back then (he retired in 2002), so it is signed by him. A few months later, on a rather wet August morning, I arrived on Islay for my first visit. 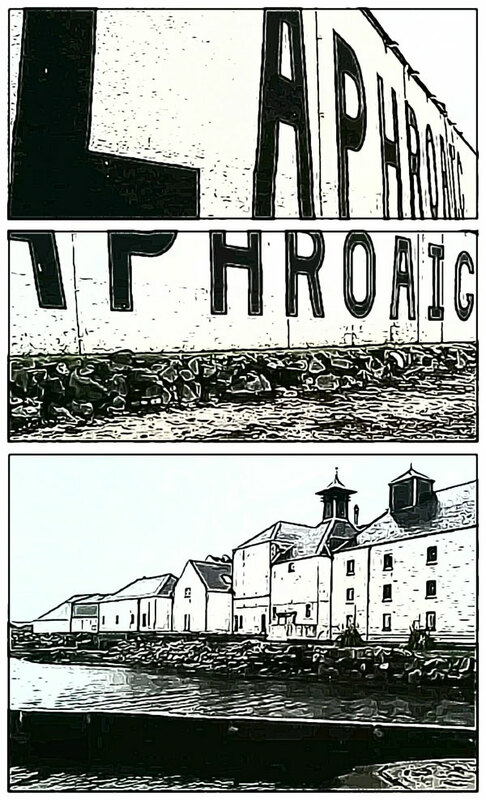 The first distillery I visited was of course Laphroaig. There was no visitor centre back then, as far as I can remember I found the way to the reception where someone welcomed me and found a miniature bottle for my annual rent for me. All of this is now 20 years ago (or will soon be), so with a month delay I’m going to open a bottle of Laphroaig Cairdeas tonight for a wee dram to celebrate being a Friend of Laphroaig for 20 years. Following Roman Abramovich’s Islay visit a few years ago there will now also be Islay vodka, to be called Islayschki Vodka. The vodka will be distilled in a new purpose-built distillery near Port Ellen. From what I understand the distillery will be a joint venture by a Russian conglomerate and a Scottish spirit merchant. 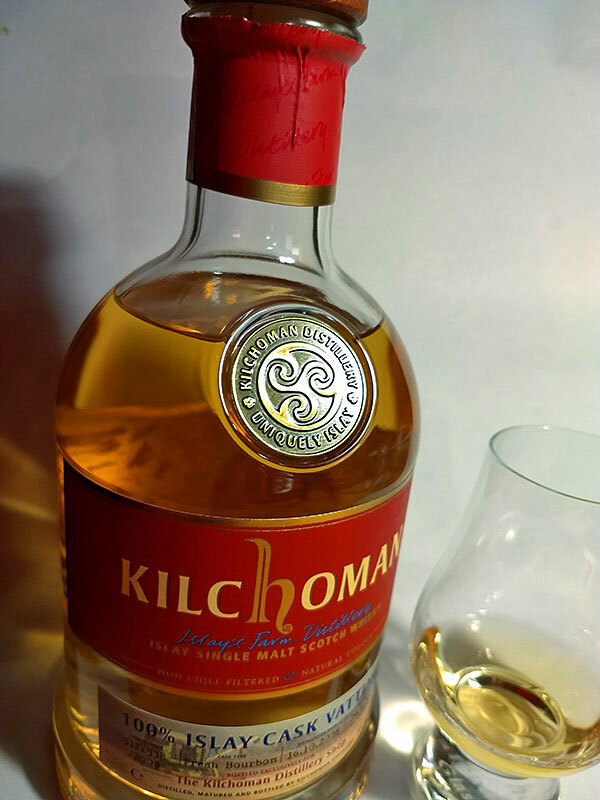 Not much is known about the taste profile yet, but I understand it will be a fusion of continental freshness and Islay’s maritime salty influences. While it is mainly to be enjoyed neat it can also be used in cocktails and mixed with other drinks. 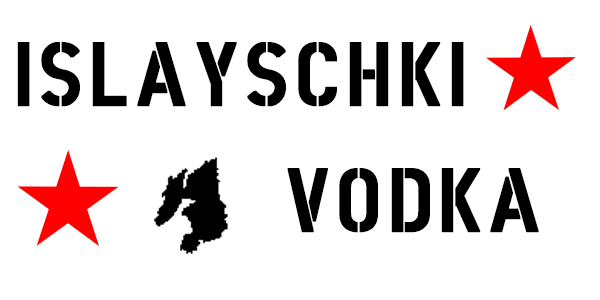 Will you try the new Islayschki Vodka? What do you think? Worth experimenting a bit more or a waste of time? This year I’m having some Whisky Nibs from Chocolate Tree in Edinburgh. I can’t remember where exactly I came across them, I think it was some food or whisky blog. As the whisky they use is from Islay I of course had to order some. Islay Whisky Chocolate Nibs. 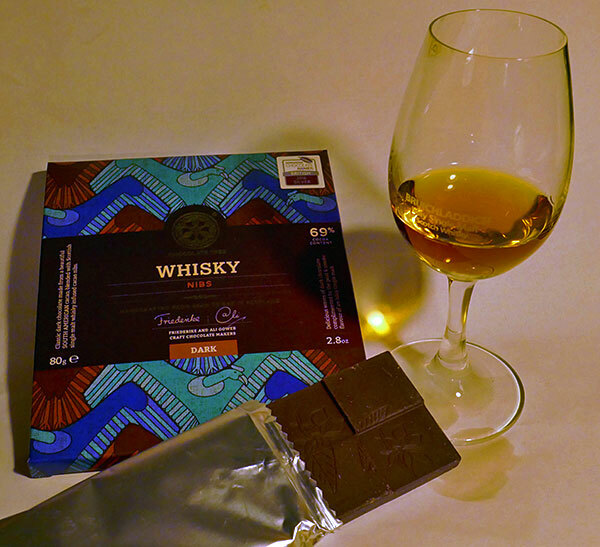 And some Islay whisky.The chocolate is very nice, a dark chocolate with 69% cocoa content from the Marañón canyon in Peru. The nibs make it nice and crunchy. With the whisky content in the single digit percentage the whisky taste for me was quite faint but detectable. I’m sure connoisseurs with better developed and trained taste buds will detect much more. I think well worth giving it a try (once available again, when I was writing this it was out of stock. I’m hoping they’re going to produce more). And with that I’m returning to the New Year’s Day concert from Vienna, where as I’m typing this they’re playing An der schönen blauen Donau. 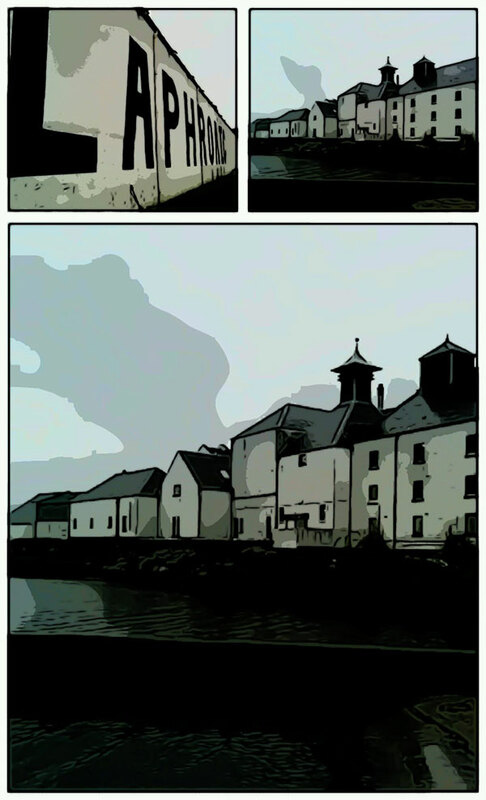 As I said my French is limited and Google Translate can only help so much, but as far as I can gather it’s about the death of whisky expert Helen Arthur and Joël tracing back her steps including a visit to Islay. The cover indicates a visit to at least Ardbeg is on the cards, but I think the other distilleries are also visited. Jim McEwan has written a preface and many other well known Islay whisky names seem to have given support. Nicely done, I think should pour another dram of the 100% Islay I opened when I watched the first video.